I recently read an article about coats,all kind of coats which are around us in almost every person.They have really fast replaced sport jackets and made them self "must have" piece of everyone's closet. I must admit that I am one of huge fans of coats,I really love them. They can really show your personality and you can improve your style just by picking the right one. But now the question is which coats is the "right pick"? Yesterday I went to shopping ,but not you know the regular one when you shop everything you just like ,but the one where you are walking from store to store just to find the perfect jacket or coat. 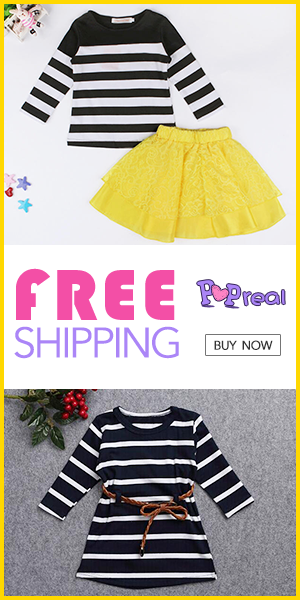 It is a huge sale everywhere so coats and jacket real got incredibly low prices like sweaters or jeans. So I spend like 5 od 6 hours walking around and trying almost everything I saw there. I already got few coats but I couldn't miss the chance to buy something really cheap .So I end with coat,few shirts and shoes. 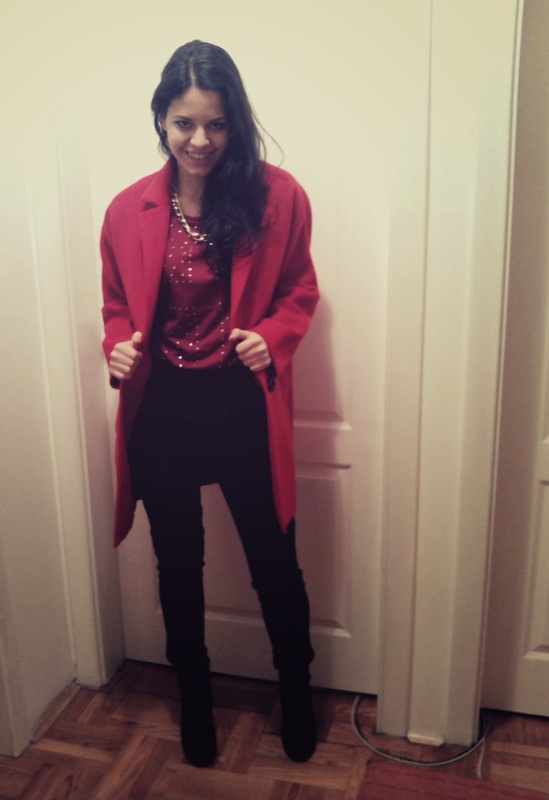 I choose red like-oversized-blazer coat. It's very unusual and rare on Serbian streets. Here is my idea for combine this kind of piece. What you think about it? nice.. coat!!! 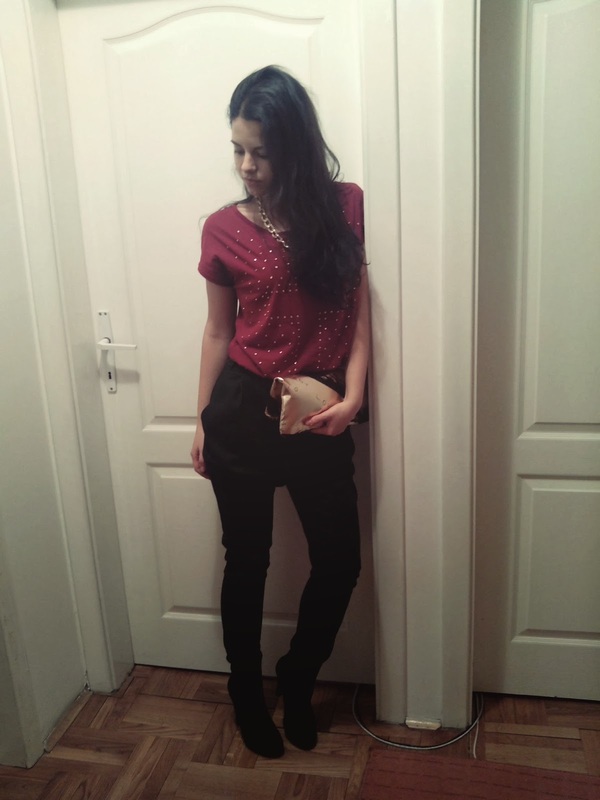 love your outfit!!! I like the coat!! really! very nice look my dear! 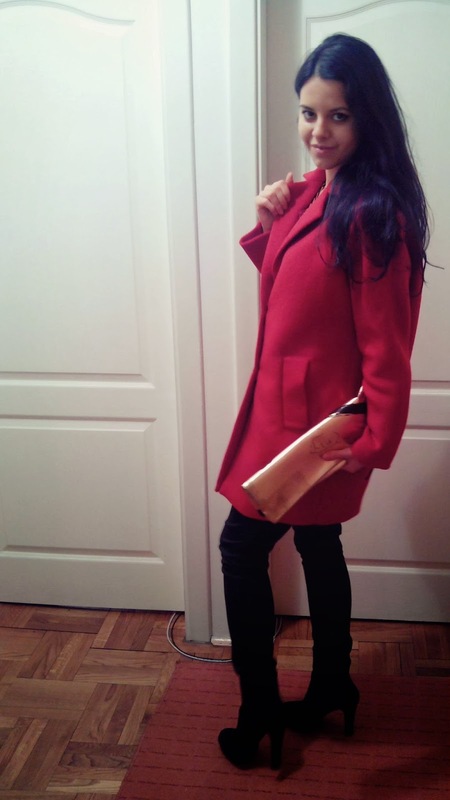 love your red coat! 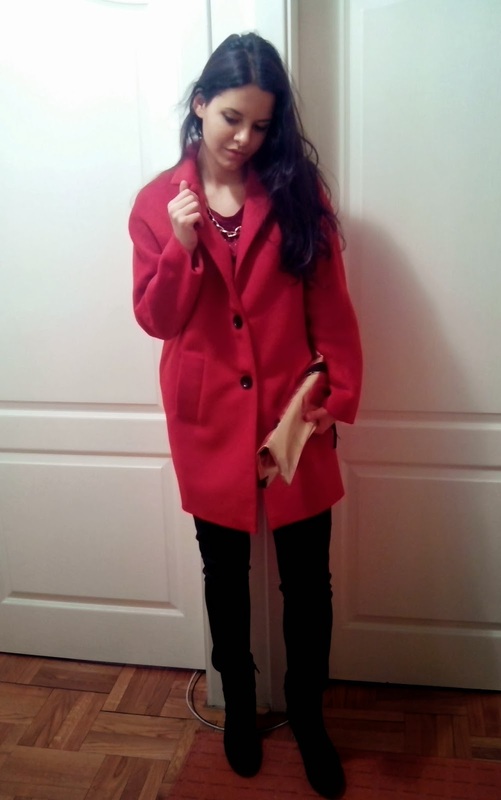 The red coat is beautiful! I'd wear it with a matching red lipstick. 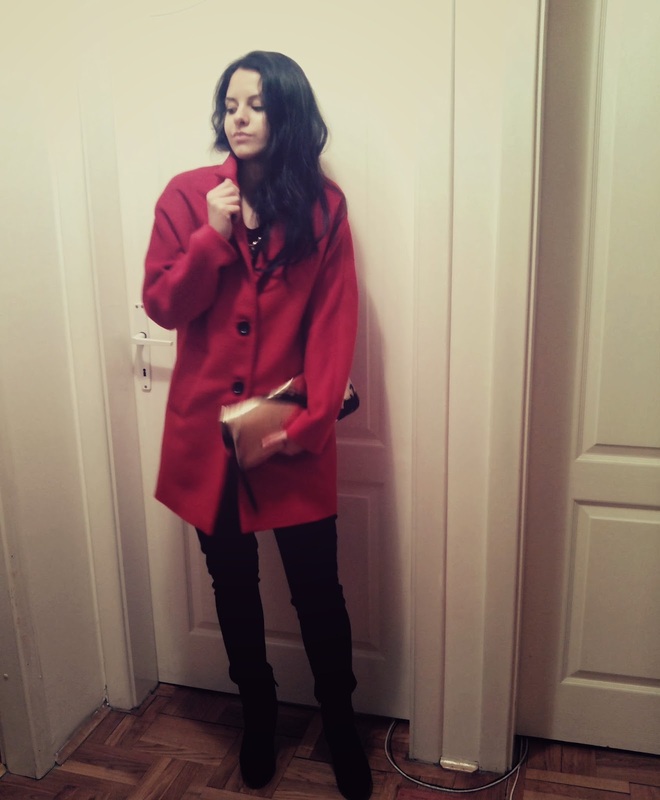 Nice coat, love the red, looks great on you.